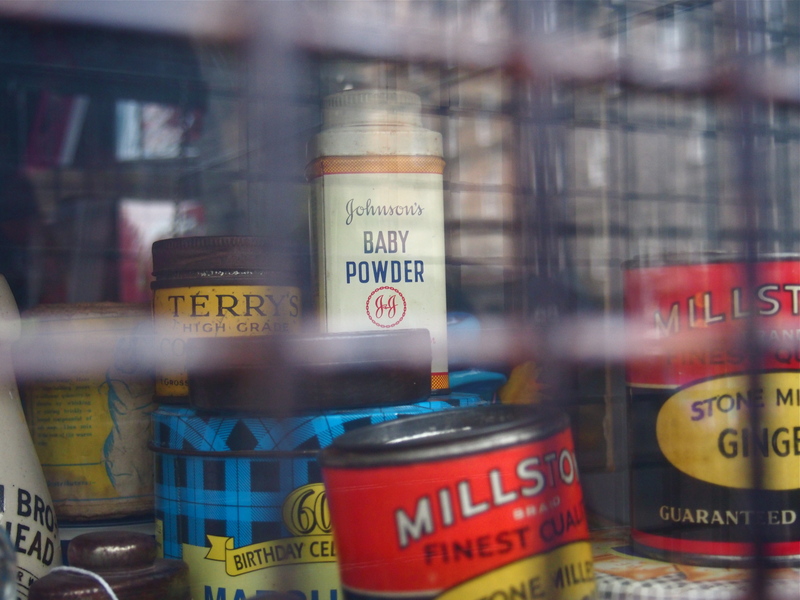 I loved seeing these vintage tin cans, especially the Johnson’s Baby Powder (I guess the other Johnson wasn’t born yet at that time), through the gridded window. Something old while on the way to try something new in Edinburgh. 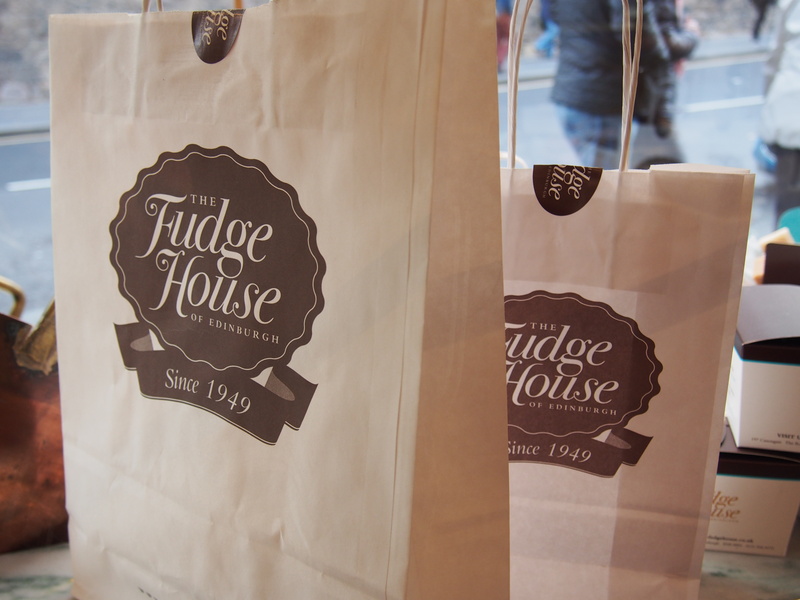 If you’re in Edinburgh and have a sweet tooth, I highly recommend a visit to the Fudge House located along the Royal Mile. 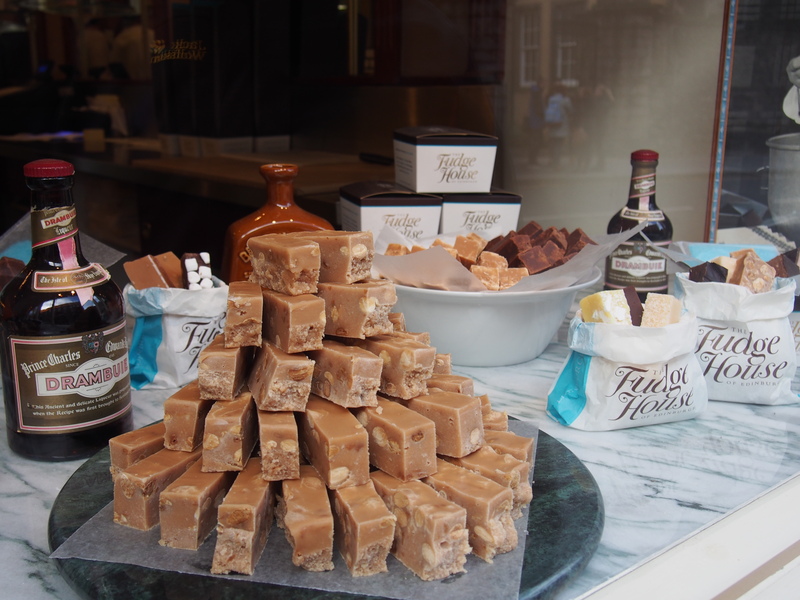 After hours and hours of walking, the fudge served there is a well-deserved treat. With so many fantastic flavors offered, it was hard to choose which to try. The variants ranged from chocolate fudge like classic hazelnut and chocolate pecan swirl to special flavors like lemon merengue pie and peppermint. After a lot of thinking, I went for butterscotch, pistachio & white chocolate, and chai latte. I immediately devoured the butterscotch fudge – when it melts in your mouth, it turns into a rich, creamy, and sweet treat. So good. I saved the other two flavors for the next day, which I think made them even better. Day-old fudge is really good. 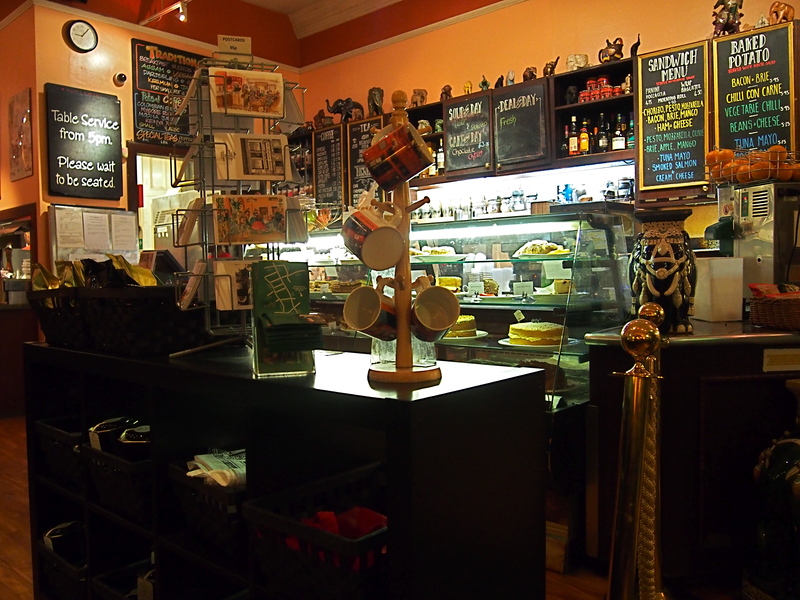 Among the three, I’d have to say that the chai latte was my favorite. It’s such an unexpected flavor and the sweetness of the fudge and the spice of the chai latte is a great combination. 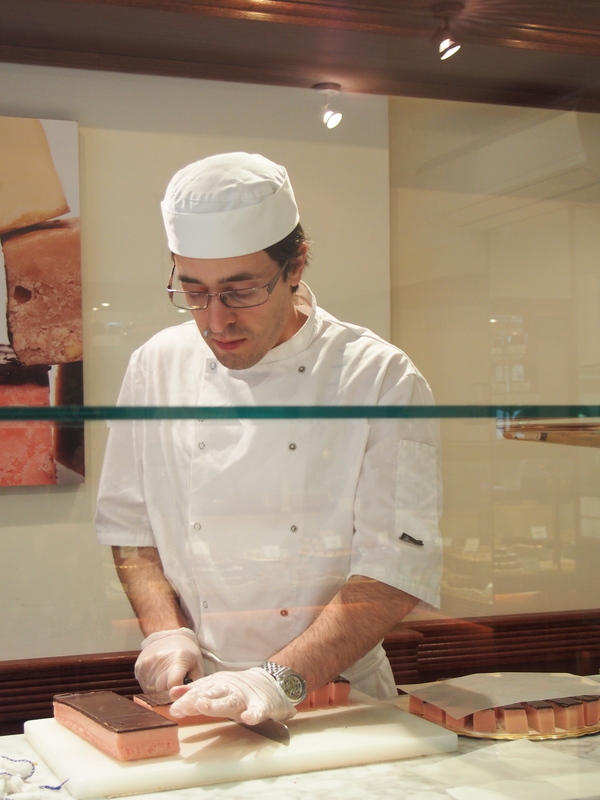 We stayed a few minutes in the store to watch part of the fudge-making process. 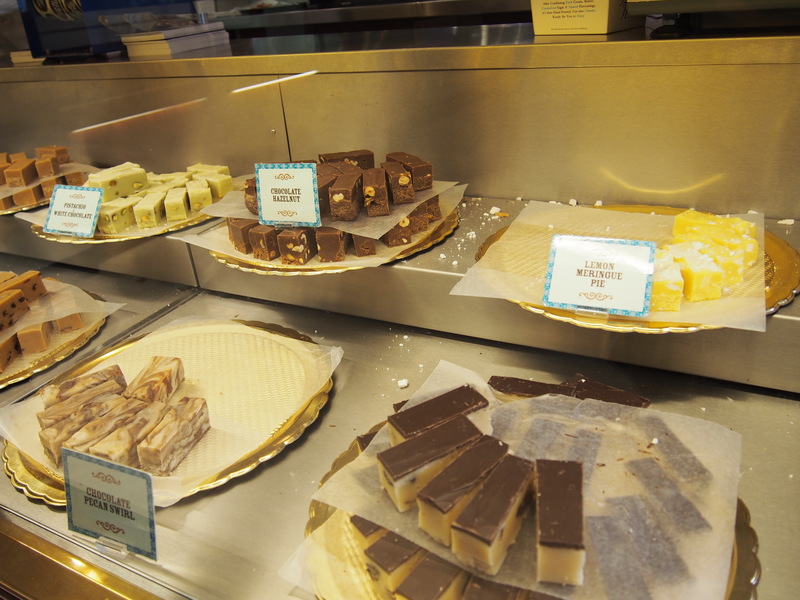 Noting that it would be hard to resist all the deliciousness in the store we asked the fudge maker if he ate fudge every day. He said he has to taste it, it’s part of the job. Lucky. He would, however, resist the temptation to feast on it all day, every day. I’m not sure if I would. While traveling is all about exploring new places, discovering different cultures, and tasting foreign cuisines, it’s also good for just hanging out and having some good, old-fashioned fun in a new setting. Because my friend E doesn’t drink, we went to a pub that has something different to offer. After all, if she was going to just watch me drink, there should be something else for her to enjoy as well. 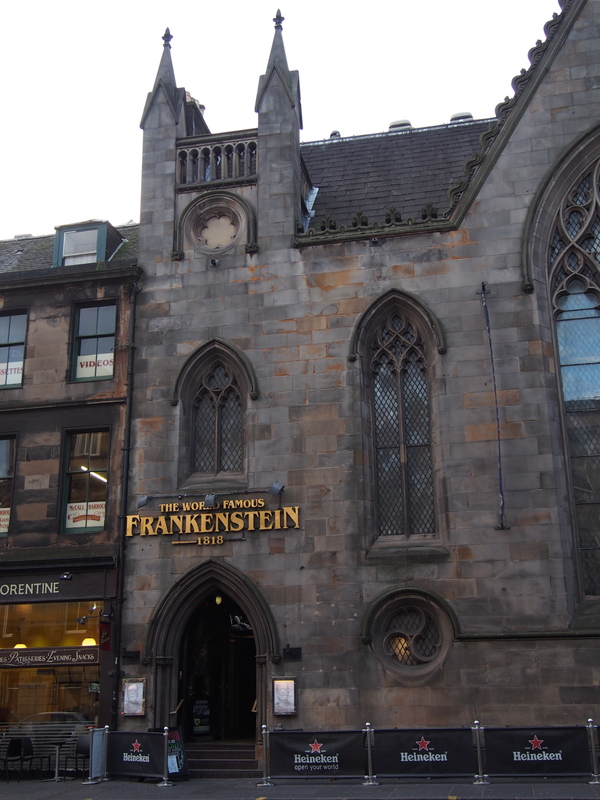 The World Famous Frankenstein looks like a church from the outside, but is a really cool pub inside, and is located just a few steps away from our hotel. 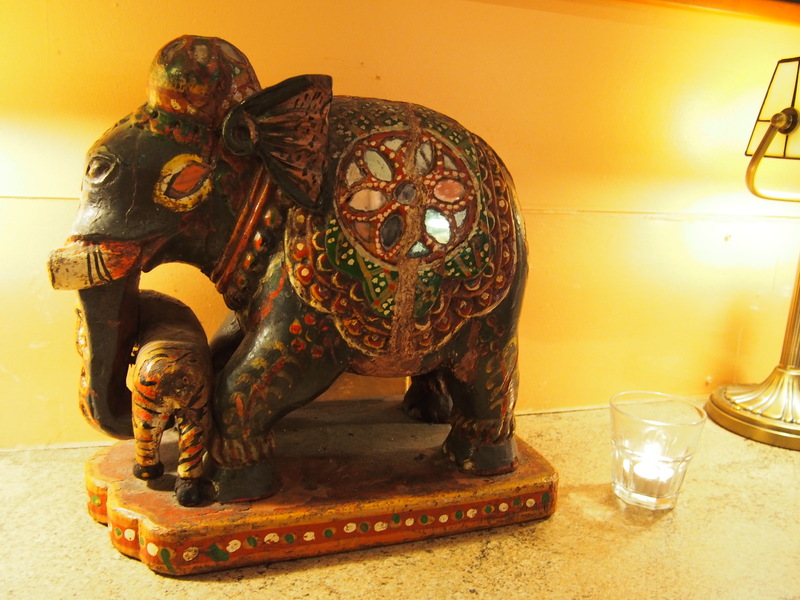 After booking a table via twitter – they answered really quickly! 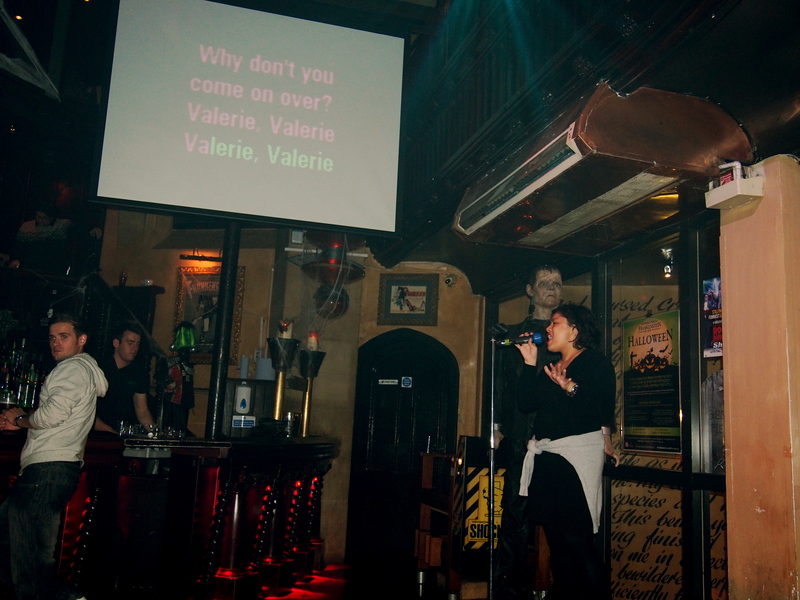 – we went to their Karaoke Sunday party. The inside of the pub looked like a cross between a church and a dungeon. There was a long table with girls celebrating hen’s night, a few semi-drunk, LOL-ing guys, so mostly a fun crowd. Like the usual karaoke bar, there are a few books with a song list to choose from. To request your song, you have to write the title and your name on a piece of paper and pass it along to the DJ. 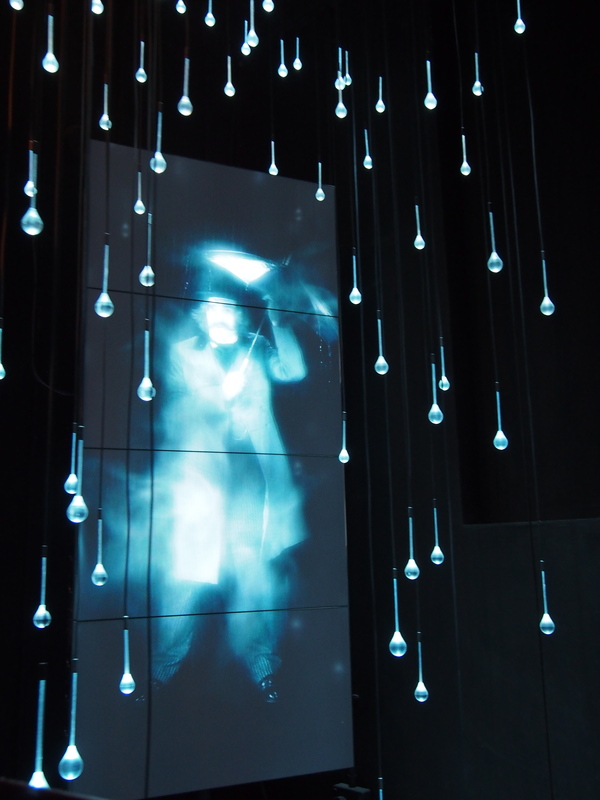 The DJ would call the performer up to the small stage, chat a little and play the song. I sang a few songs throughout the night. The most fun performance was Rock DJ, because a) it has been my dream to rap in public (and this was perfect because I would never see this audience again in case of embarrassment), b) everybody in the pub knew the song, so they danced, sang, and rapped along, and c) there were some funny cross-dressed guys who danced with me on stage. While I do enjoy appreciate alcohol, I have never tried Scotch Whisky. Thanks to Mad Men, the drink looked sophisticated in my eyes and made me fantasize about offering Scotch to anyone who would visit me in my office. What better place to try Scotch than its origin? 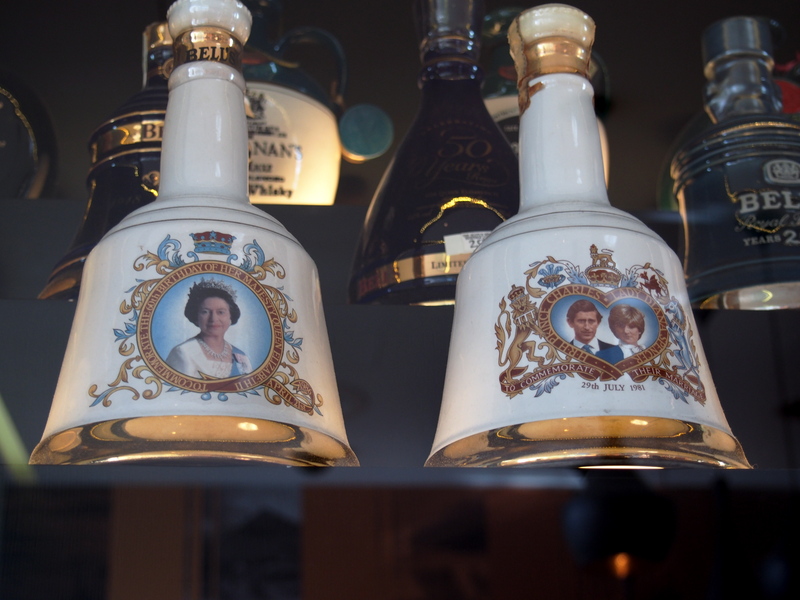 After hiking to the Edinburgh Castle, I went on a Scotch Whisky Experience to know more about the whisky making process, the regions where Scotch is made, and to taste-test. The Barrel Ride is similar to theme park rides, but instead of little dolls singing “It’s a Small World”, there’s a ghost that takes you through the entire process of Scotch Whisky production. 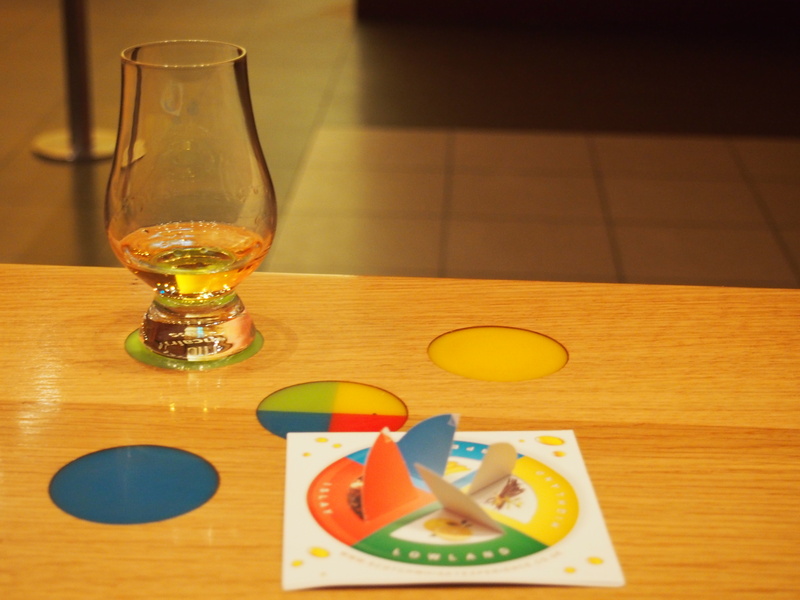 After the tour, a Scotch expert introduces the different aromas and the different regions where Scotch comes from. To determine which aroma you prefer, there are scratch-and-sniff cards. From the regions of Highlands (there can only be one! ), Lowland, Islay and Speyside, I chose the Lowland because of its fruity, fresh and citrusy aroma. I chose wrongly. Haha. While citrusy is perfect for my mojitos, caipirinhas and gin fizzes, I didn’t quite like it in my Scotch. 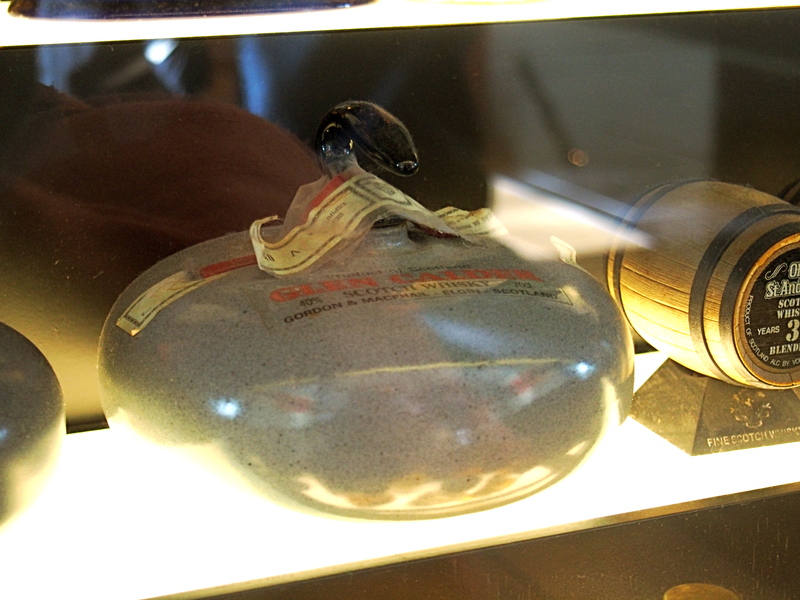 As it is the most light-bodied Scotch, it is usually preferred by beginners though. Maybe I should have gone with the Highlands with its sweetness with a touch of smoke. Oh well, that leaves more room for experimentation in finding my Scotch. When that day comes, you’ll see me swirling Scotch in a nice little low glass and sipping it slowly before I offer you a drink. 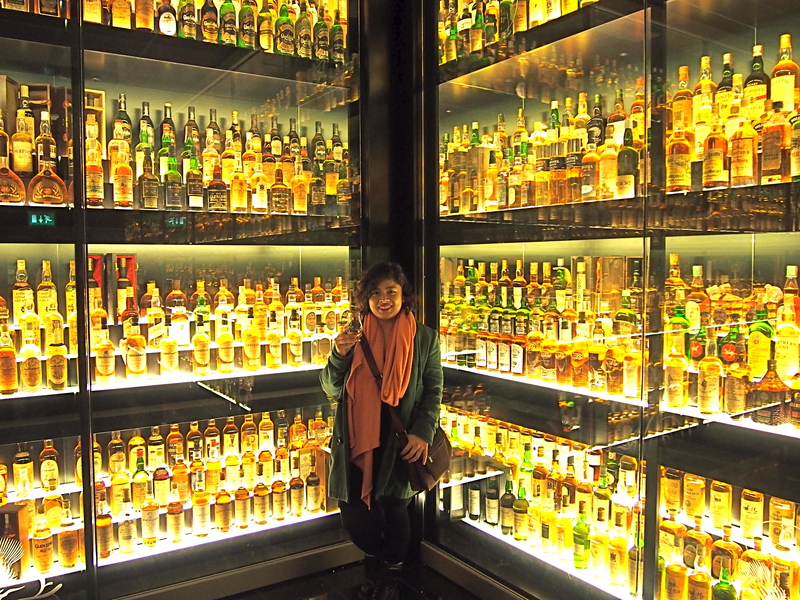 My favorite part of the tour was seeing the world’s largest collection of Scotch Whisky. 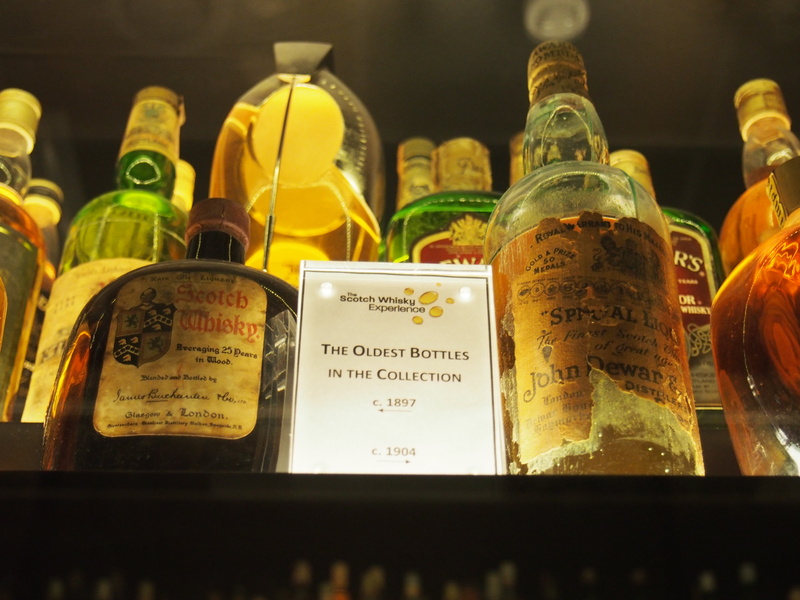 The collection belongs to Mr. Claive Vidiz, who started collecting in the 1970s and has amassed almost 3,400 bottles! and the quirky. Yes, that’s Nessie, the Loch Ness Monster! 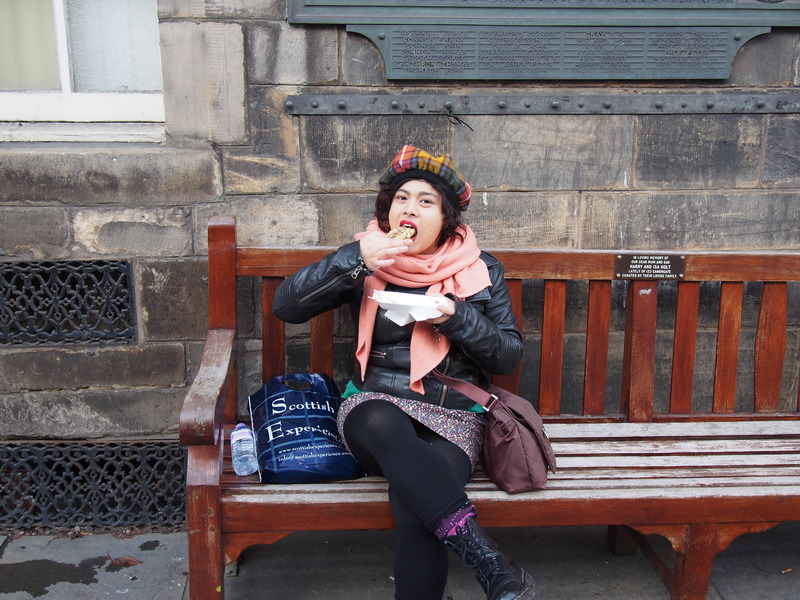 Okay now this is was my absolutely my favorite new thing I got to try in Edinburgh. Sometimes I still daydream about it. OMG. Look at it. It doesn’t look as pretty or special as other sweets like cupcakes and macarons, but it’s heaven. 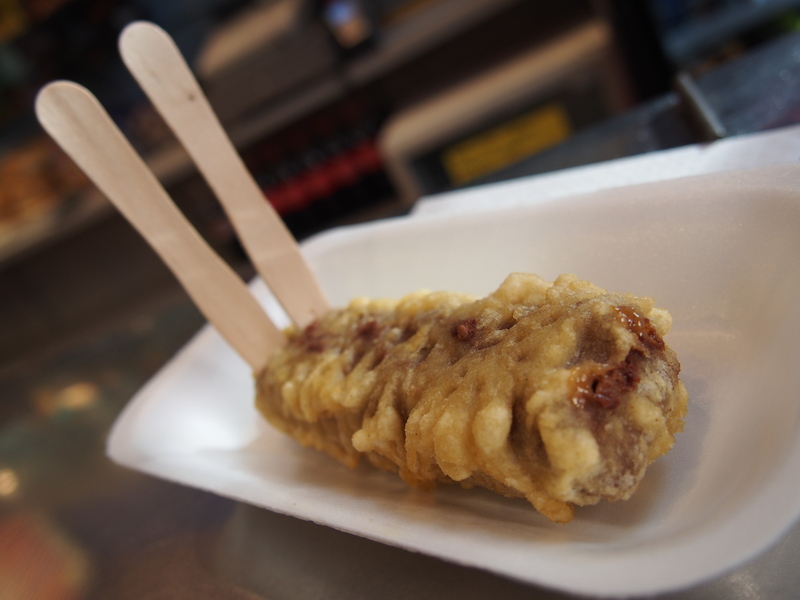 Deep-fried in batter, the Mars bar is warm and gooey. When you bite in, the chocolate, caramel and nougat melt together and swirl in your mouth. It’s the best. This is coming from someone who doesn’t even prefer regular Mars bars over, say, Milky Way or Twix. I ❤ you, deep-fried Mars bar. 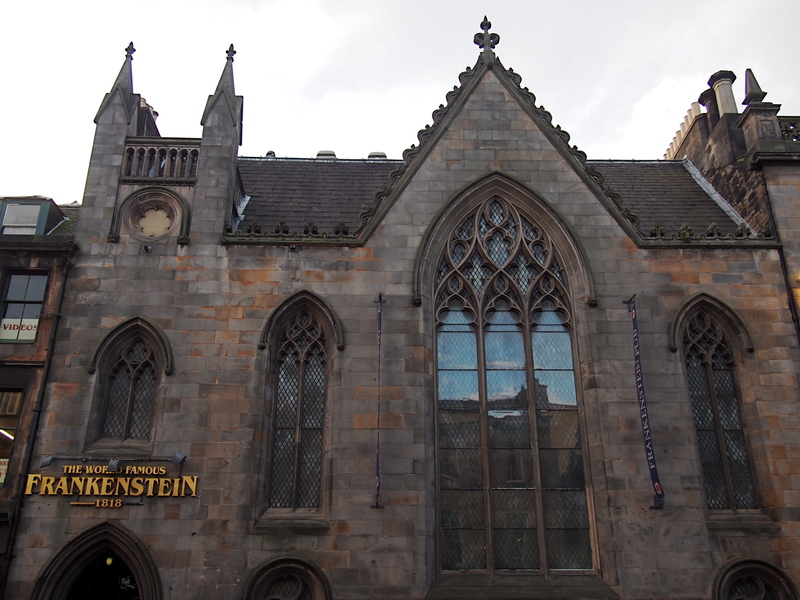 During our trip to Edinburgh in Scotland in October, my friend Elki and I scored with the location of our hotel. Hotel du Vin is charming, cozy, and near everything. Admittedly, it wasn’t easy lugging our suitcases uphill, but it was worth it. We were a little creeped out to find out that it was also near the cemetery where we took a Haunted Graveyard Tour. While walking around to acquaint ourselves with the area, we passed a coffee shop named The Elephant House with a sign saying it’s Harry Potter’s birthplace and wondered what that could be about. Hours later, I remembered that J.K. Rowling wrote Harry Potter in a coffee shop in Scotland. (When I was still a student, my friends and I would ask each other trivia questions about Harry and J.K. – such geeks!) We figured it must be a really popular tourist spot, so when we passed by it at night and there was no queue, we took advantage and went in. All tables were taken, but luckily there were some free seats at the bar. 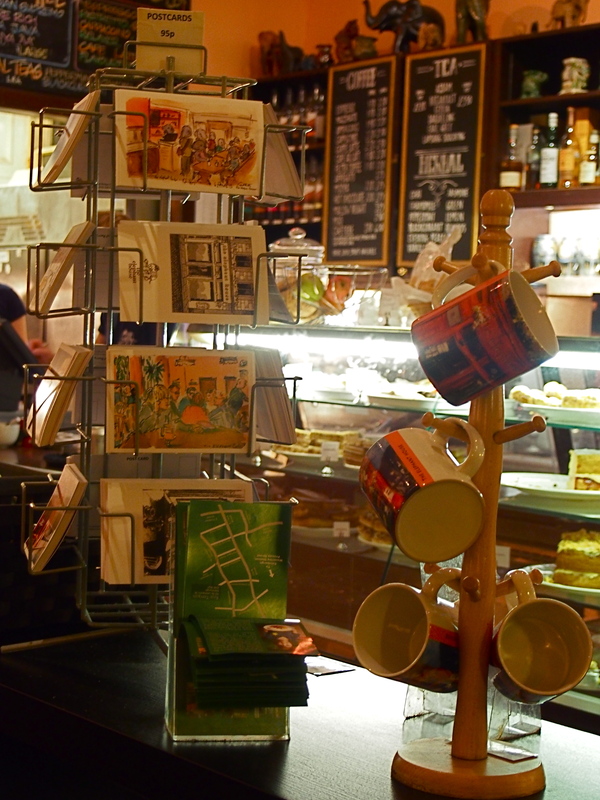 The café has a certain enchanting and comfortable vibe – a personality that lacks in the run-of-the-mill coffee chains that we see so often nowadays. No baristas shouting your name (or made-up coffee house names) across the room, and no fancy synonyms for small, medium, large. I really loved Elephant House’s assortment of teas. 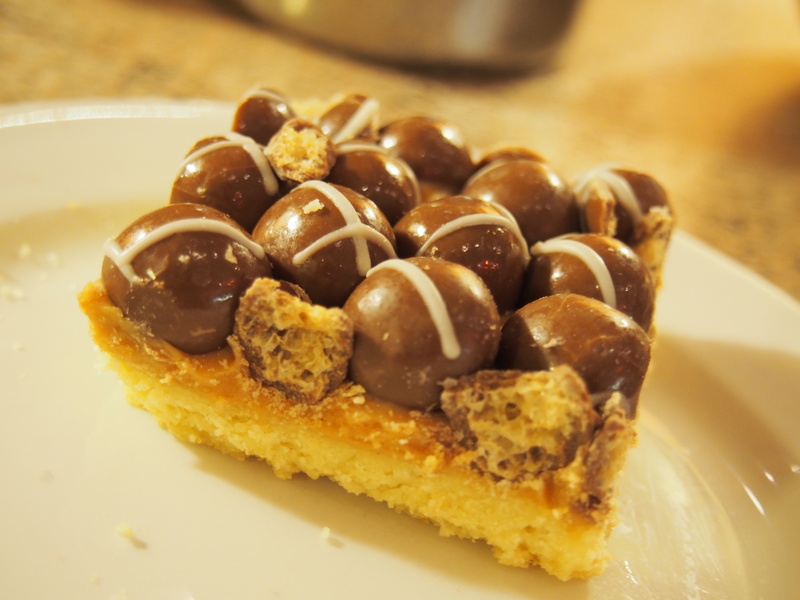 I ordered tea and Malteser cake made of Maltesers, caramel and shortbread. If I could, I would only eat Malteser-everything. So good. Perfect for ending a cold, rainy evening. 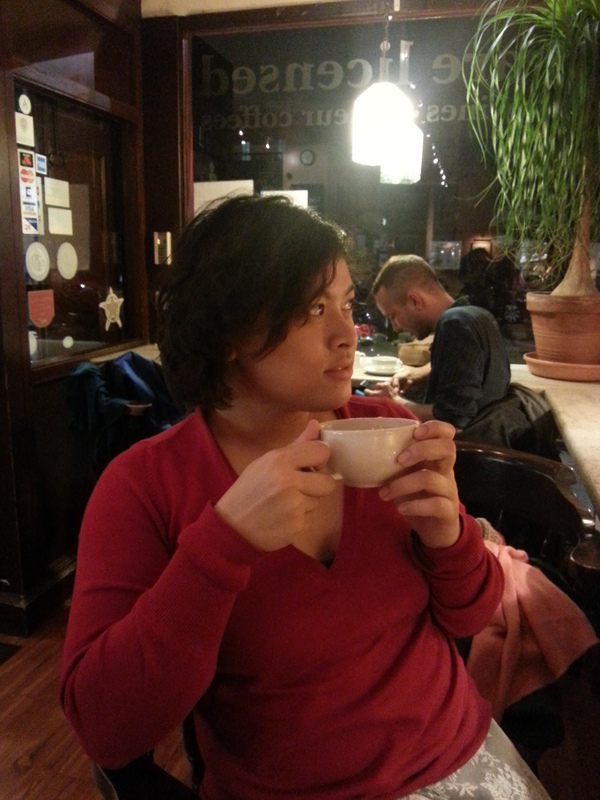 Unfortunately, I did not get any magical, best-selling idea for a book while there, but I did get to sneak a pic of me pretending to think while having tea.